Berlin - In the midst of the FIFA World Cup finals, Hertha Berlin's pre-season planning continues apace as they welcome John Heitinga into their defensive ranks. The 30-year-old central defensive specialist is of course himself no stranger to the aforementioned tournament. Four years ago in South Africa he helped the Netherlands through to the final, where he was sent off early in the second period of extra time as the Dutch eventually went down 1-0 to Spain. 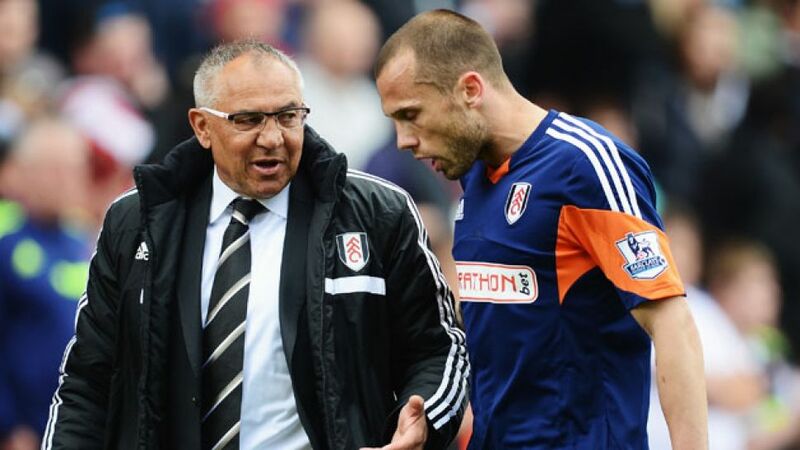 This time around, he missed the cut for former FC Bayern coach Louis van Gaal's Brazil-bound Oranje squad, but Heitinga is looking forward to a busy and challenging summer nonetheless as he settles into a new team and new environment after swapping Fulham FC and the British capital for Hertha and the German one. With regard to the upcoming season as a whole, Heitinga said, “the first priority has to be ensuring Hertha stay in the Bundesliga.” And having “followed German football for quite some time now, I can only say the standard is exceptionally high. Being in the frame at the top level is something you really can't take for granted”. Not that anybody involved with Berlin's biggest club is likely to be getting complacent about their status any time soon, given Hertha's feast-or-famine record of recent years. A fourth-place finish in 2009 was followed by a four-year cycle of relegation and immediate repromotion, finally broken by last season's mid-table consolidation. That eleventh-place finish was, if anything, somewhat anticlimactic for the fans on the back of the team's tremendous early-season form, which saw them go into the winter break sixth in the standings, putting them on course for an unanticipated return to the European stage. A dramatic form slump after the restart put paid to that and the arrival of Heitinga is part of head coach Jos Luhukay's subsequent response as he seeks to get the capital club moving in the right direction once again. The 87-time Dutch international has plenty to contribute. Capable of filling in at right-back or in a holding midfield role he is, by his own admission, happiest in the centre of the defence. Confident on the ball, he is also very much “a fighter, I like to lead by example. I've got a winner's mentality, which I hope can add something to the team”. Heitinga is meanwhile relishing the prospect of adding to his own not-inconsiderable repository of experience, noting, “I've spoken to a few current or former Bundesliga players. They've assured me I'll love it here - that it's a really strong league and that Germany, and Berlin, are very pleasant places to live".